Want to start forex trading? 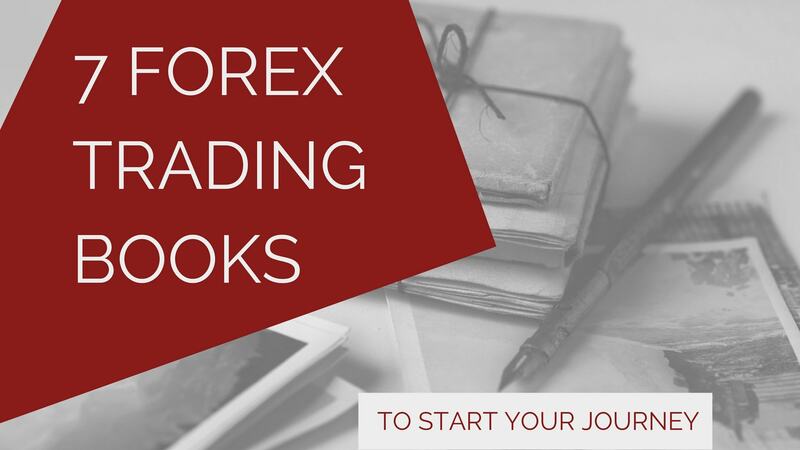 Looking for a solid forex trading book to kickstart your education? You’re not alone. Many retail traders start their trading career in the forex markets. This is because of the low barriers to entry such as low initial deposit and small position sizes. But choosing to trade forex just because it has low entry barriers does not mean that it’s a wise choice. You must always trade what you understand. Reading a well-organised forex trading book is a one way to make sure of that. If you are new to the forex markets, you should look for a forex trading book. Knowledge and practical information specific to the currency market are what you need. There are many excellent trading books that apply to all markets. But as a new forex trader, you should read them only after you’ve gained a solid foundation of the forex market. Only then, you are able to apply general trading concepts to your forex trading. The order of the seven forex trading books below does not represent their ranking. However, note that the first four books are suitable for complete novices. As the last three books, read them after you’re more confident of your basic forex knowledge. In a reliable forex trading book, you won’t find hyped up profit promises. In Forex For Beginners, there are none. This forex trading book does not overwhelm you with an encyclopedia of trading terms. Instead, it focuses on essential knowledge for forex traders. In the first part, Anna Coulling covers topics ranging from currency quotes to forex market forces. You will also learn about how the different types of forex brokers work. You will find a bias towards volume analysis. This is because it is the main trading framework Anna Coulling uses. If volume analysis makes sense to you, this is the perfect first forex trading book for you. The books gets wordy at times. But it does not change the fact that it’s a good primer for an aspiring forex trader. Kathy Lien, the former Director of Currency Research at FX360 and GFT, has three forex trading books under her belt. She writes well, and this book is an easy read for a technical topic. First, the book gives a broad introduction to the forex market. Then, it moves on to specific trading setups. She uses both fundamental and technical analysis in her approach. You will gain the most from this book if you already have a basic trading strategy and are looking to refine it. Like all the books in the Dummies series, Currency Trading For Dummies gives a comprehensive introduction. It is also well-edited and formatted for easy reading. As far as forex trading goes, it has touched on all the essential points. Its scope is impressive as a basic forex trading book. On top of that, I like their focus on risk management. This forex trading book will definitely give you a solid foundation. With that, you can move on to learning advanced forex trading concepts. This book is called The Sensible Guide. Its sensibility comes from its focus on risk. It introduces position sizing early and recommends it as the best way to control your trading risk. It also warns against having too many positions on. For any trading book, a focus on risk is a good sign. In this book, Cliff Wachtel gives a solid introduction to forex trading. On top of that, he covers a decent scope of technical and fundamental analysis for currencies. If you want to read some stuff by Cliff Wachtel before getting his book, you can head over to his website here. John Jagerson’s book is not as comprehensive as other forex books for beginners. But this book offers a variety of practical trading strategies. For each trading idea, it explains the rationale and background. Then, John Jagerson shows you the actual tools that can help you apply them. Ashraf Laidi used to work at City Index and CMC Markets as a market strategist. In this book, he shares his many years of market observation. Intermarket analysis is a potent weapon in the hands of a well-trained forex trader. After all, markets are interlinked. And no market has more linkages than the currency market. Top traders learn from history. The mass market does not. A historical perspective is what this book offers. Be careful. This should not be your first forex trading book. It dives straight into the linkages, historical performance, and cycles of the forex markets. You should already have some experience trading forex. Then, I recommend this book if want to shift towards fast intraday scalping. However, take note that scalping is a challenging trading method to master. If this is the path you choose, be prepared to put in long hours of practice. As I’ve mentioned, most retail traders start with forex markets due to its low entry barrier. This is why many trading books and courses add the word “forex” in their titles. The purpose is to attract a large group of new traders. It’s a marketing decision. Thus, if you need specific forex knowlege, don’t judge a forex trading book by its cover. Flip it open and look through it for specific forex information. Nonetheless, remember that technical analysis is a general method to understand the financial markets. Hence, most technical trading methods can be applied to all markets. A forex trader can learn how to draw trend lines from a futures trading book. A futures trader can also learn how to spot divergences from a forex trading book. The exact classification of a trading book means less to a trader as he or she gains more experience.